Meet Rosie, a future therapy dog. This calm puppy came in to continue her puppy examinations and vaccines, an important part of starting off a puppy right. She handled everything extremely well. 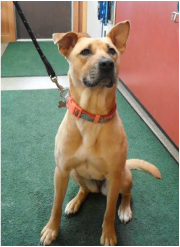 Rosie has a big role to play in the future, as she is headed towards helping lots of people. Not only will she be a therapy dog herself, but there are high hopes of her being able to help train other therapy dogs. It has been a great pleasure to work with her before she becomes a big "star." We can say we knew her "when." Check out this trio of fun! Annie, Brady, and Leo are the poster children for personality. They are fun-loving and forever happy. We always enjoy seeing them and get to chuckle at their individual styles and personas. We are so thankful for Tilly. Tilly is always a wonderful dog, eager to share her happiness and love with all, but in the month of July she gave even more of herself. Tilly acted heroically as a blood donor for a critically ill patient. We are ever so grateful to her (and her owners) for their selfless act of kindness. Angus visited us for an annual exam. 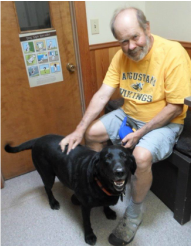 He reminds all of us how important it is to have routine exams on our furry kids and especially as they enter their golden years. Blood work can help shed light on issues our older pets may be having. Angus was a trooper for his exam and blood draw and even purred throughout the process. This is one cool cat with a great mustache. It's a boy! And 5 girls to take care of him. Puppies always bring excitement and fun, and this litter was no exception. 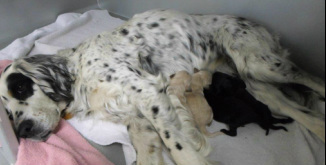 Originally an exam of Millie, you can imagine the scene when she started the process of having puppies in the car on the way to her appointment. We are happy to report that the process went well and all pups did great. Way to go Millie! 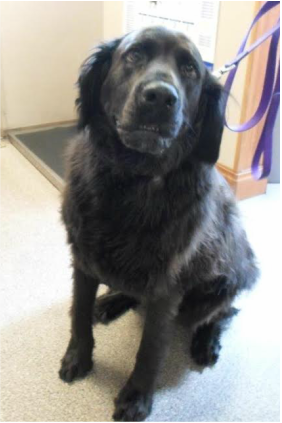 Addie is a recent adoptee from the Flathead County Animal Shelter and what a find she is! We encourage people to help unwanted animals find a new forever home. We offer a free examination to all new adoptees from either the Humane Society of Northwest Montana or the Flathead County Animal Shelter to get acquainted with us and any healthcare needs they may have. Bosco warmed our hearts during the cold month of February with his sweet disposition and brave attitude. He tore one of his toenails (likely on a slick surface), and had to have it removed. This is an important reminder about the importance of pedicures for your pets. Trimming those nails back on a regular basis is a great way to prevent this scenario. If you need help our guidance on how to do this, don't be afraid to ask us. We're glad to help! Wow! 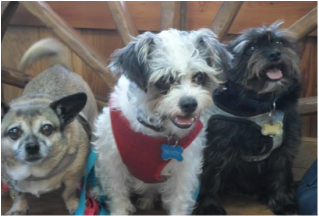 Three pups are a whole lot of excitement, fun, work, and cuteness all wrapped together. 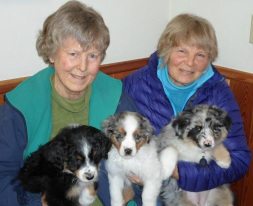 Getting puppies off to the right start in life involves at least a few trips to the veterinarian for a series of examinations, vaccinations, and deworming to ensure the little ones are growing well. We love to watch how they grow! We are celebrating the holiday-filled month of December with Zoie - the tremendous terrier. She was in the hospital to have a surgical removal of a growth (sometimes referred to as a lumpectomy). Zoie has such a sweet disposition and was great to work with. It's always a good idea to have any new "lumps" or "bumps" evaluated by a veterinarian. 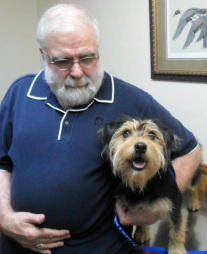 The month of November is filled with thankfulness, and we are thankful for great patients (and their owners). It's easy to love a face as sweet as Maggie's! She is a sweet older girl whom we have had to see quite regularly for a chronic immune condition. There has been quite a bit of coordination with our doctors and specialists from Washington due to the rareness of her disease. We are happy to report that she has been responding well - thanks to her owner's hard work and dedication. We always enjoy seeing Maggie and we are pretty sure that she has figured out where every dog cookie jar is in our whole hospital. This puppy came to see us with a broken toe. After X-rays confirmed that he would need a cast, Trapper was seen quite frequently for bandage changes. This month we celebrate the day that X-rays confirmed that he would no longer need his cast and he gets to run around like a normal puppy! Sweet Numa is our star for September. Numa got to spend a day with us while undergoing a minor surgical procedure. Sometimes undergoing a surgery, no matter how minor it is, can have an element of anxiety for owners (and in some cases the patient). Well, Numa was one cool customer; nothing seemed to phase her. She was such a sweet dog throughout the entire day she deserves the recognition as pet of the month. Marvin the Marvelous Cat, and Tuckerman the Wonder Dog are our August pet of the month team. This adorable duo were presented to us by their owners Abby & Zach. 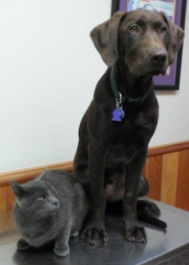 While we often find that our clients prefer to bring their dogs and cats separately, this team prefers to stick together- in fact they even wanted to share the exam table! Being young kiddos they were both here for their Puppy/ Kitten vaccination series exams and boosters. Puppies and Kittens require regular examinations as they grow, and booster vaccinations in order to build healthy immune systems. July brings us Pete with her owner Gary. Pete is actually in contention for our pet of the year award. 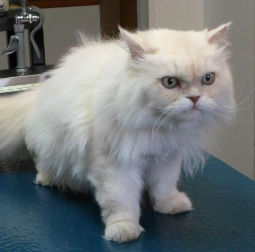 She is an excellent example of how important your pet's annual examination really is. Gary brought Pete in back in February for her annual examination when she was diagnosed with a serious medical condition. Gary and Pete have followed the advice of their veterinarian down to the letter, and we are happy to report that she returned for her recheck and is doing well. June is the kick off to summer- and it's finally here! June also brought us the joy of seeing Chauncey (and her owner Paul). 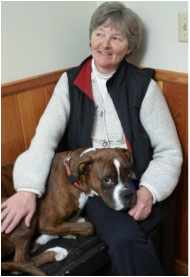 Chauncey brought her contagious smile and eagerness to get a clean bill of health. 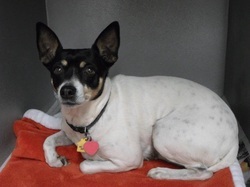 After her Annual Examination and vaccinations, Chauncey gave a small blood sample for a Heartworm Test. Heartworm Disease is becoming more prevalent across the United States and is becoming more of a concern in Montana as well. It is our recommendation that all of our canine companions have current Heartworm tests and use preventative a minimum of May through October. May was a month with lots of horses but Bambino and Jivago stood out. These Mangalarga Marchadors were seen for their Complimentary Examinations and "Spring" Vaccinations. We follow the American Association of Equine Practitioners recommendations for Vaccination and encourage our equine owners to take advantage of our free Equine Wellness Examination with Vaccinations. April belongs to Oakley. Oakley is a sweet, 7 month old Boston Terrier mix who recently underwent a neuter and repair of his "cherry eye." 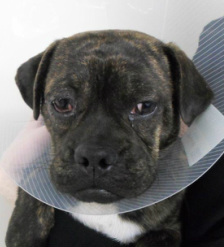 A "cherry eye" is the prolapsing of a gland on the dog's third eyelid that can be common in some breeds of dogs. Seen here to the left is his picture after his surgical procedure with his gland back in place. Oakley was such a great dog to work with! Let us introduce this happy girl, Keyna to everyone for the month of March. Keyna is a great example of what a dental can do for your pet. The pictures to the left are taken of her mouth before and after a dental done here at Alpine Animal Hospital. Not only can we see the obvious improvement in her oral health, but the dental also helps with her overall health and longevity that we can't see with our eyes. February is National Pet Dental Health Month and Fletcher was one of many of our patients who took part in our annual special. 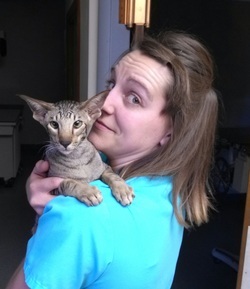 Fletcher is a hairless breed of cat called a Sphynx and is our star Pet of the Month for February. Fletcher came in sporting matching camo with his owner Amy, and left with pearly white teeth. Regular dental care will help maintain the overall health and wellness of your pet. Amy and Fletcher can feel better knowing that they are not only working toward maintaining the health of his mouth, but his heart, kidney's and liver as well. We are starting off the new year right with Netty, a poodle mix, who is a newly adopted animal. It is always the highlight of any day when we can work together with the Humane Society of Northwest Montana to find a home for an animal in need. 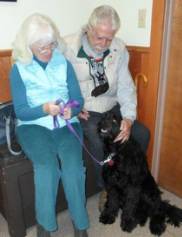 We love to help connect people with a new forever friend, like Judy and Wayne seen here with Netty. Because we feel strongly about the adoption process, we always offer a free Initial Examination for pets that are adopted from shelters. For more information about the humane society or to find a new pet for your home visit http://www.humanesocietypets.com/ today! The holiday filled month of December brought us the "gift" of Millie, an adorable mixed breed puppy. New Puppy and Kitten Exams are important. There is so much to know about having a puppy in the house (especially if it has been a while or it’s your first time). One of the best parts about what we do is getting to see the magic that puppies can bring. 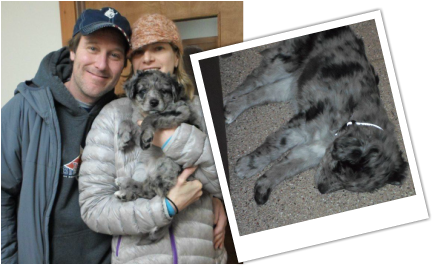 Millie was a heartwarming addition to Paul and Courtney's home, and it was a joy for us to get to meet her! Getting off on the right foot is important and we are always happy to help with the process of transitioning a new pet into a home. Our Puppy kits (Free with an Initial Puppy Examination) are full of helpful information on puppy training and an all-around guide to enjoying a new puppy! 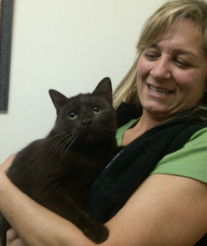 Charlie "the chocolate colored cat" is this month's star, seen here posing with his owner Sheryle. He has a unique chocolate brown colored coat that we rarely ever see. Charlie was in for his annual exam and vaccinations and did great. He is always such a great cat to work with. Annual exams are an important key to maintaining the overall health of your pet, especially when it comes to cat's who can be masters at hiding illness. 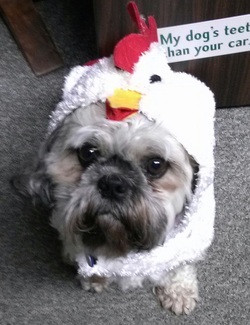 This Halloween month brings us Sully who came in to the hospital dressed up as a chicken. I'm not sure whether he thought he was going to scare anyone with this outfit, but it's definitely not an every day occurence to have a Shih Tzu dressed up so well for the holiday. Looking good Sully! Gilly and Fergus are two adorable border collie/corgi littermates, and are this month's stars. Gilly came in for her spay and Fergus for his neuter. Both puppies were wonderful to work with and recovered quickly. Spaying and neutering (fixing) animals is an important event for the health and longevity of your pet. For an example of what it would be like for your pet, be sure to check out our "Day in the life of a neuter patient" section. August belongs to Avett, seen here posing with Britani. Avett is an Oriental breed cat who was seen for a wound on his tail. 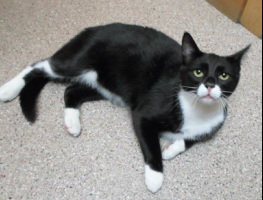 Because of the damage, Avett had to have the tip of his tail surgically removed. He was such a brave and laid-back patient to work with considering the circumstances. He is healing up well and doing great! Here's Jake! 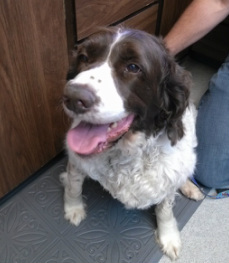 This happy spaniel is the pet of the month for June. Jake has a common problem seen in middle-aged and older dogs called hypothyroidism. Because of this medical condition Jake has to be on thyroid supplement and also have his thyroid levels checked periodically. We are able to check Jake's thyroid levels right here at Alpine Animal Hospital allowing us to make adjustments immediately to better meet the needs of your pet. 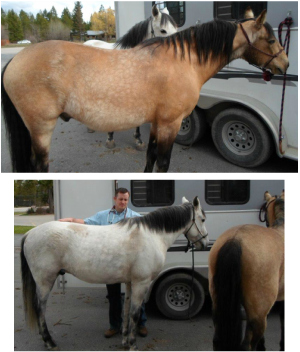 Meet Harley and Faith, two wonderful horses that recently had their annual examinations and boosters of their vaccines during a ranch call to their barn. After examination it was determined that they both needed to have their teeth "floated." "Floating" teeth in horses refers to removing sharp enamel points on their teeth which allows them to gain more nutrients from the hay that they eat, as well as make it more comfortable to eat. 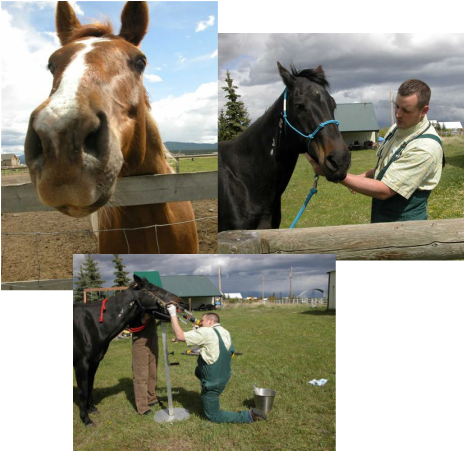 Routine examinations and preventative maintanence are a great way to keep your horse healthy, happy, and ready for the trails. 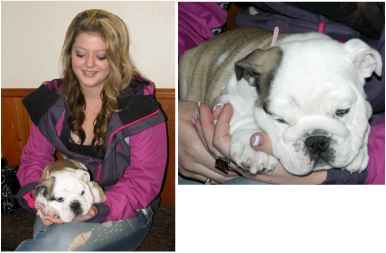 The month of April brings us Athena, the adorable English Bulldog, and her owner Gina. Athena’s a big girl now that she finished her Puppy Vaccination Series. For the best protection from disease, puppies need to have their vaccines boostered every 3-4 weeks. Ideally these start at 8 weeks, continue at twelve and finish around 16 weeks when they receive their first Rabies Vaccine. Meet Aksel and Andy, seen here with their owner Judy. These Golden Retrievers came in for their Annual Examinations and to update their vaccines. Andy, especially deserves kudos for his exceptional behavior when his examination turned up an ear infection. 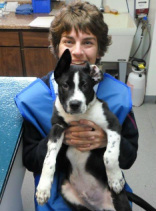 We couldn't have asked for a more cooperative patient when it came to treating his ear. Yearly examinations are an important step in helping us maintain the overall heath of our patients. Meet Magge (held by Maraika) and Rachel (held by Davina). These doxies are sporting clean, shiny teeth after taking advantage of our dental specials in February for National Pet Dental Health Month. Magge, in particular, gets a gold star for her bravery. Her dental examination revealed gingival disease and an infected root that resulted in a tooth extraction. Both dogs and their owners can feel great about their healthy mouths leading to better overall health. Way to go Rachel and Magge! Davina with Rachel and Magge. ____________________Magge is ready for her dental.__________________ Paul and Judy posing with their sweet dogs Rachel and Magge.